Iran today is well-positioned to leverage the Arab world’s difficult political transition to religious-based politics and influence this transition to suit its geopolitical interests. After a 15-month hiatus marked by mutual distrust and reciprocal accusations of insincerity to negotiate, on April 14 Istanbul hosted a new round of negotiations between Iran and the world’s major powers over Tehran’s nuclear program. All indications point to an atmosphere of cooperation with a decision to continue the talks next month in Baghdad. 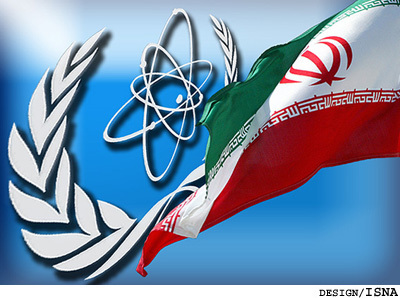 The talks have partly been the result of secret negotiations between Iranian officials and their Western counterparts in at least three Western and Asian capitals. Moreover, the talks are taking place at a time when the Arab Spring enters a new phase in which Islamists are poised to dominate the new Middle Eastern politics, putting the future of Western interests under thick clouds of uncertainty. In Tunisia and Egypt Islamists are the new face of politics while in Libya religious fundamentalists from various tribes are engaged in a de-facto civil war in different parts of the country, increasingly challenging the authority of the central government and highlighting its inability to exert authority. And in Syria, the country is increasingly under what appears to be a military occupation as the Assad regime–unable to dispatch enough troops to quell the revolt and its great concern for the security in the capital–is increasingly relying on indiscriminate shelling of cities with heavy artillery. With support from Turkey, Qatar, Saudi Arabia, and Egypt, the Syrian Muslim Brotherhood is becoming the most significant force in the evolving Syrian opposition movement. For the West, the long-term challenge remains how the new wave of religious-based politics of the Middle East will impact its interests. For the West, this is a significant challenge and thus a deciding factor to come to an eventual compromise with the Iranian leadership, who perceive much of their existence and prestige to be their ability to export their revolutionary religious ideology. The use of religious ideology over the past three decades as a tool to influence the politics of the region has largely benefited Tehran. It has been a dominant factor in its efforts to demonize the West and destabilize pro-Western regimes of the region, including monarchies of the Persian Gulf. When compelled by its ideological and geopolitical interests, Iran has demonstrated its willingness to support religious fundamentalists, making no distinction between Sunni and Shiite groups. Tehran’s commitment to supporting Hezbollah and Hamas, its arming of Sunni and Shiite insurgents against American troops in Iraq, and its periodic support for the Taliban in its fight against NATO presence in Afghanistan are clear examples of Iranian geopolitical calculations based not on religious affiliation, but on the use of religious ideology in advancing its interests at the expense of those of the West. Iran today is well-positioned to leverage the Arab world’s difficult political transition to religious-based politics and influence this transition to suit its geopolitical interests. Absence of civil institutions in the Arab world and increasing marginalization of liberal voices and growing backlash against decades-old policies of military dictatorships associated with great Western powers have provided an environment conducive to Iran’s growth and its sect-agnostic religious ideology, which helped it make the transition to religious-based politics three decades ago. Iran, under the toughest possible sanctions, may backtrack from its nuclear policies, but it will hardly backtrack ideologically and will use its religious influence in a post-Arab Spring world to cause further instability and economic uncertainty. Iran’s long-standing experience in managing crises and its political dexterity to create regional instability through various proxies will not serve long-term Western interests. The Israelis, equally concerned about the growing influence of religious parties and factions in the region, are cognizant of the threat posed by the Iranian leadership to influence the pace and direction of current events that could potentially overwhelm Jerusalem’s ability to manage multiple enemies in its neighborhood on state level rather than on non-state, factional one. Western long-term strategic interests are better served under a strategic compromise with Iran that would bring Iran back into the international political and economic order, which would reduce significantly the prospects of Iranian influence against Western interests. With its status recognized and increasingly integrated into the global trade system, Iran would be greatly dissuaded to use its state ideology to undermine the interests of its key trading partners in the West, and as a result, further hurt its basket case economy that is in dire need of investment and revitalization.